A business strategy contains the mission, vision and objectives of an organization. It also contains the organization's market strategy, unique value proposition, and distinctive value configuration. An IT strategy contains information on applications and human resources. Details about the way IT is to be organized and the technical infrastructure itself are also included. By aligning their business and IT strategies, organizations can achieve the best return on their IT investment. 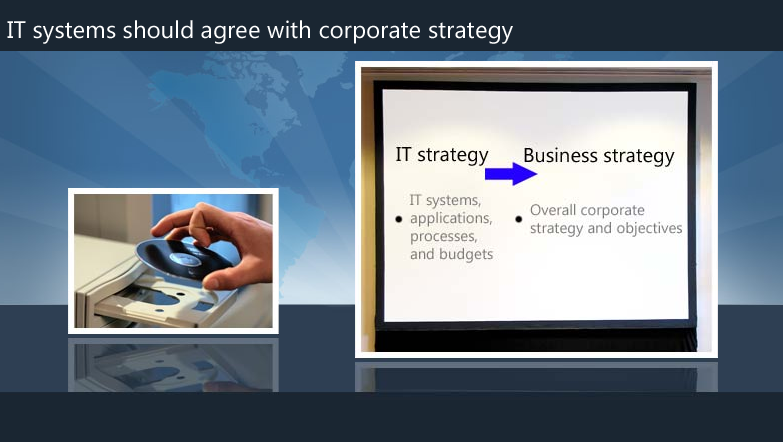 An IT-enabled business strategy contains the business expectations the company has of IT. It also includes the company's future IT plans.